Eliza Tinsley BZP Cast Iron Cleat Hook 4" - Pack of 2. 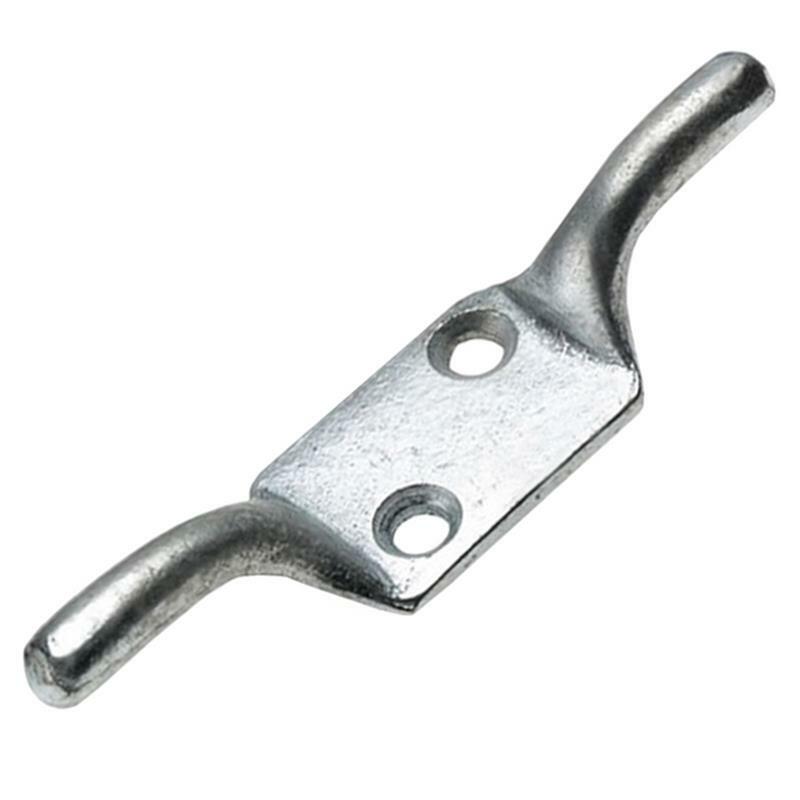 The Eliza Tinsley 4" (101mm) BZP cast iron cleat hook is a bright zinc plated, cast iron cleat hook. Generally used with pulleys but can be used to secure rope and washing lines in place whilst in use.